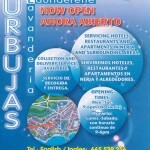 Bubbles launderette is now open in the centre of Nerja just off Castilla Perez and offers a complete laundry service for hotels, restaurants, apartments and private individuals in Nerja and the surrounding areas. 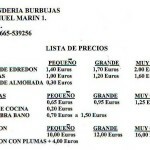 Bubbles can also collect and deliver back to you (at no extra charge in the Nerja area). 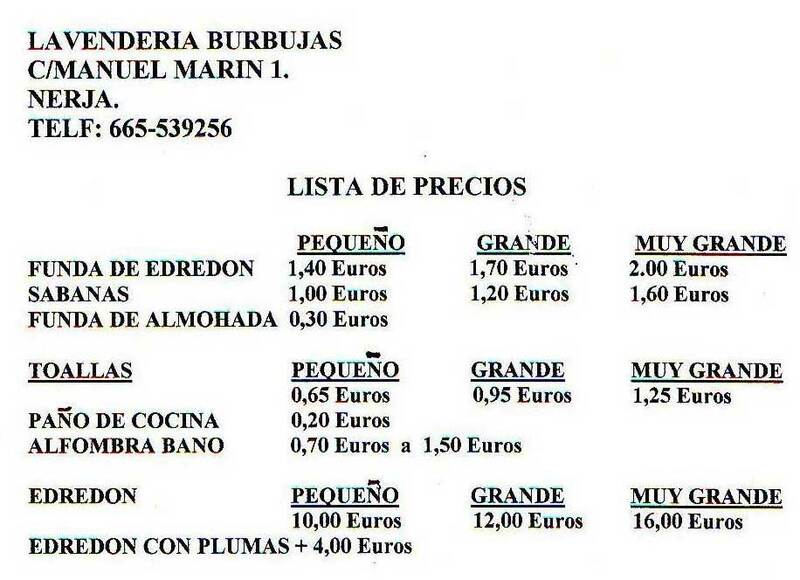 For the full pricelist click on the image on the right hand side. 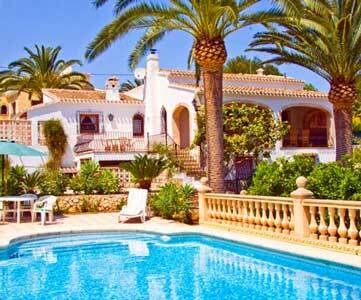 Excellent all-round service and very friendly people who will deliver as promised. No doubts to fully recommend. 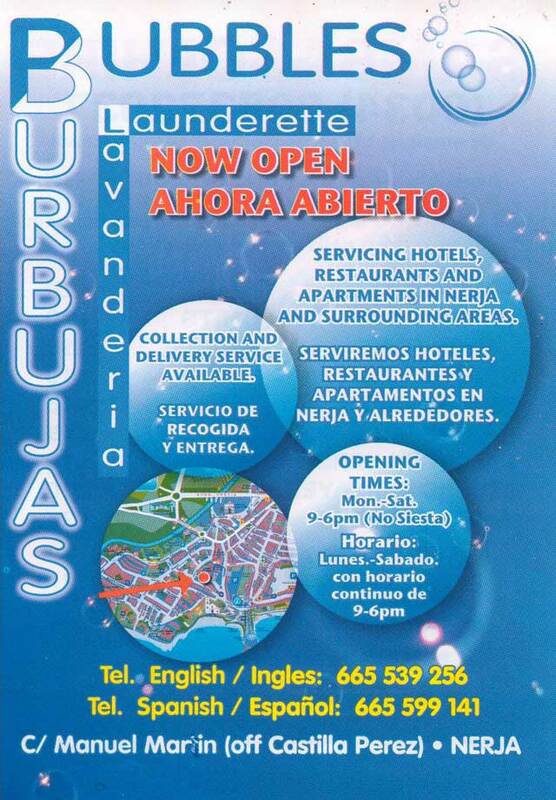 If you have visited Bubbles Launderette Nerja you can leave a comment and star rating at the bottom of this page. Posted in Services, by GingerHound on Wednesday 30th of November 2011. 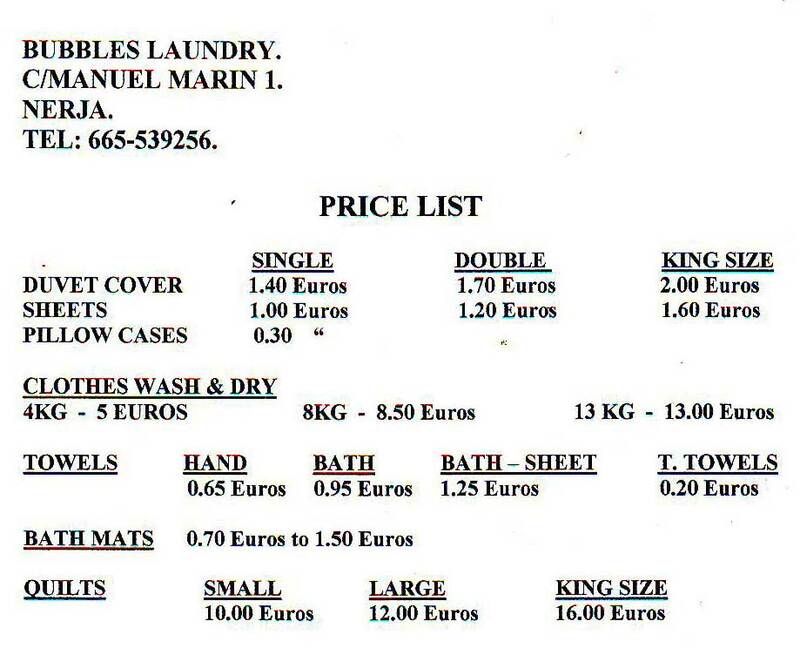 If you have visited Bubbles Launderette Nerja please rate it now by clicking on the stars below, then leave your comment using the form at the bottom. Really good service, competitive prices and friendly staff. Would definitely recommend. Friendly staff and very competetive prices. 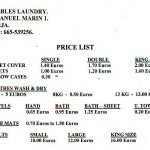 I have used this laundry a couple of times and the service and value is excellent.